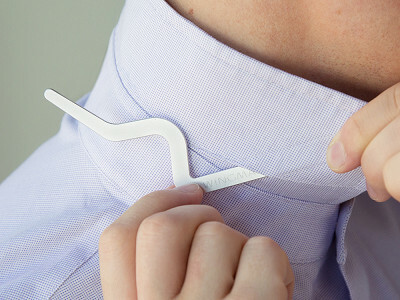 Wingman is an adjustable collar stay that keeps collars looking crisp, thanks to its zig-zag design. The aluminum design reaches farther around the neck than traditional shorter stays. The front zig of the stay straightens the tips of the collar, while the back zag lets you shape it to your neck. Because it sculpts the curve of the collar—not just the tips—it provides structure beyond the points, creating an overall sharper look. Hello everyone! I’m proud and honored to share Wingman with the Grommet and all of you. 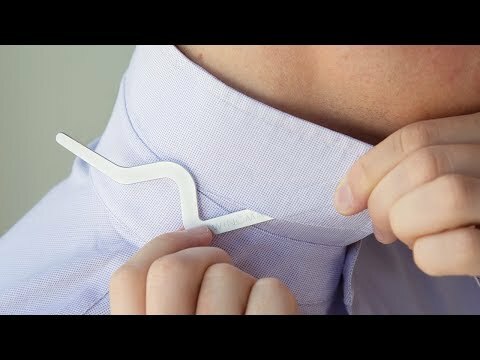 My name is Jay, and I'm the founder of Wingman, the collar stay that will make your collar stand up and stay up in a way that no other collar stay in the world can do. 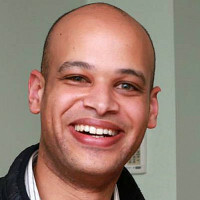 I look forward to answering all your questions, so don’t be shy, reach out! @Erica Thanks for the comment and feedback :) ... Wingman is a one time investment,improving all your dress shirts over several years, so we feel Wingman is a great buy. For a product that will fix this problem FOREVER, the price seems very reasonable. Finally a design that makes sense! Will order these for gifts knowing they will be much appreciated. I use collar stays of different lengths because my collar tips have different lengths. How does the Wingman accommodate different tip lengths? Hi @David - Our most popular pack is the triple assorted as it covers all your shirts. This option has 3 different sizes with it, 2" / 2.5" / 2.75". To get this, select assorted at checkout in the sizing options. 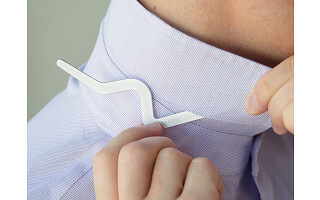 Wingman is an adjustable collar stay that keeps collars looking crisp, thanks to its zig-zag design. The aluminum design reaches farther around the neck than traditional shorter stays. The front zig of the stay straightens the tips of the collar, while the back zag lets you shape it to your neck.